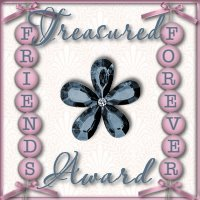 Thanks Mommy Ruby of Pinay Mommy Online for this wonderful Treasured Friend Award.. I miss you! And thanks to Sheng of La Bubbly Chica for this cool award.